Are You Making Common Signing Errors? 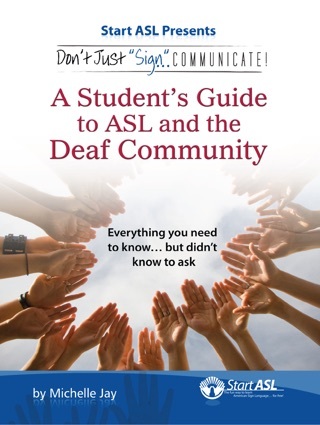 Make no mistake about it... when venturing into the world of American Sign Language, the first thing you must understand is that ASL is its own language. It is different from English. ASL is also not like other Signing Systems. Like any other Language, ASL contains its own unique rules of syntax, phonology, grammar, etc. 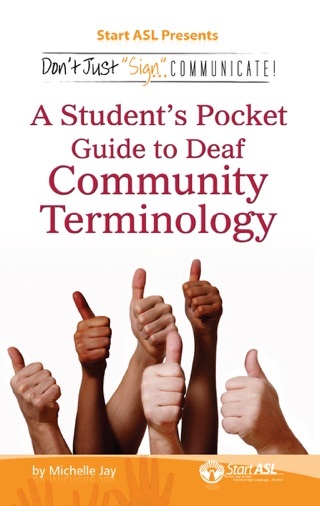 To become fluent in the ASL language, you must first be armed with these essential rules and terminology. Don't Just "Sign"... Communicate! methodically takes you, step-by-step, through the essentials of ASL Grammar to prepare you to truly and effectively communicate in and understand ASL. 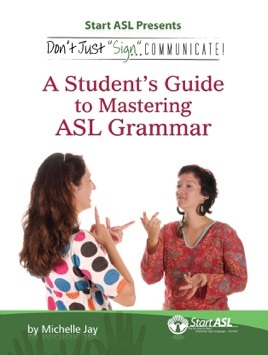 This carefully outlined guide not only illustrates the importance of understanding ASL's overall differences in grammar, the topics are broken up into the six (6) major aspects of the language, making it that much easier for you to understand and follow! - Get the "inside scoop" about ASL -- Learn vocabulary concepts not taught in most ASL dictionaries and discover the most essential ASL grammar rules. - Packed full with "must have" tools, a glossary of over 200 terms, and a grammar study sheet you'll use again and again! 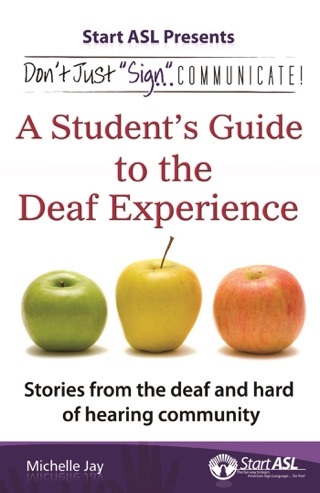 Regardless of your reasons for learning to communicate in ASL, once you have read this book with its expert advice and hints, you will truly be prepared to master the communication nuances of the ASL Language!